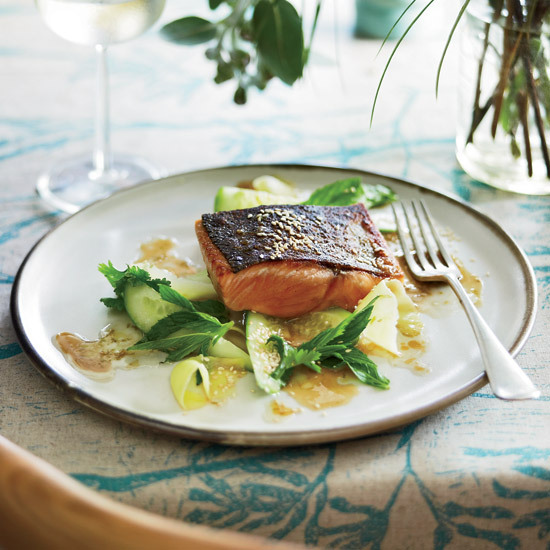 When something is as healthy, reliable and easy to prepare as salmon is, it’s easy to fall into a rut with the same, basic recipes. But it’s such a great canvas for so many flavors, and holds up to a number of cooking methods, so there’s no reason to resign yourself to the same, old boring approach. 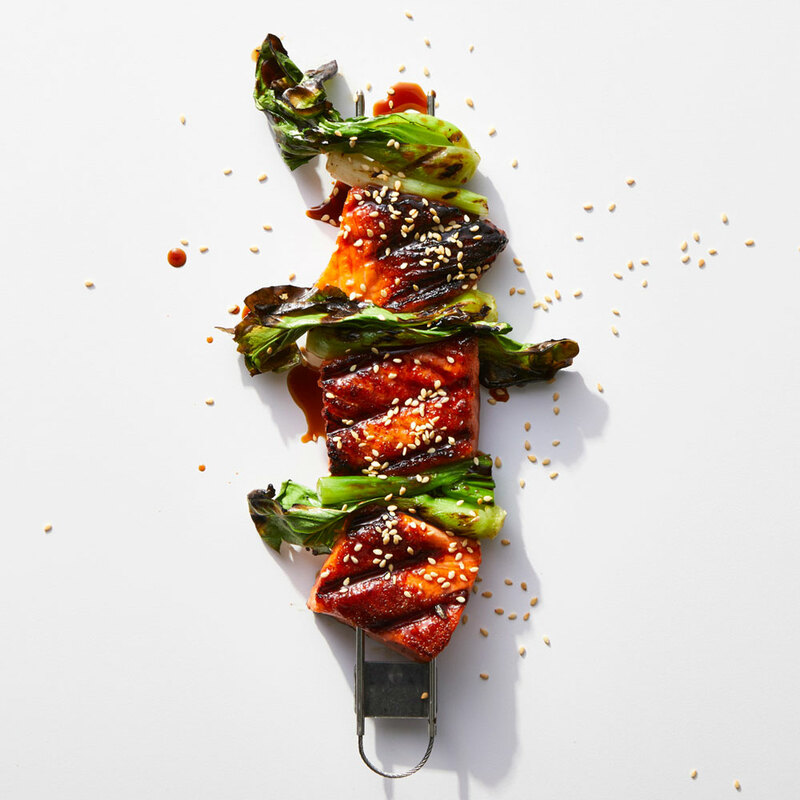 Here are 14 salmon recipes that give everyone’s favorite fish the respect it deserves. 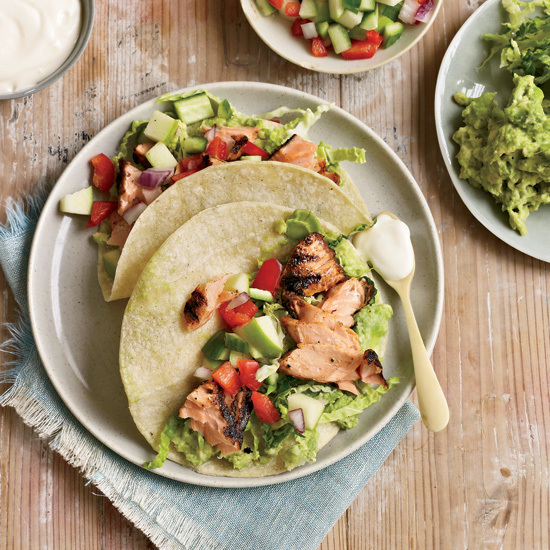 These salmon tacos are topped with a juicy, crispy, tangy apple-cucumber salsa. Any time a novice cook asks Jamie Bissonnette for a simple recipe, he gives them this soy-honey-mustard sauce, and once you try it, you’ll see why. Barbecued salmon fillets find a winning companion in this fresh, bright green mango salad. 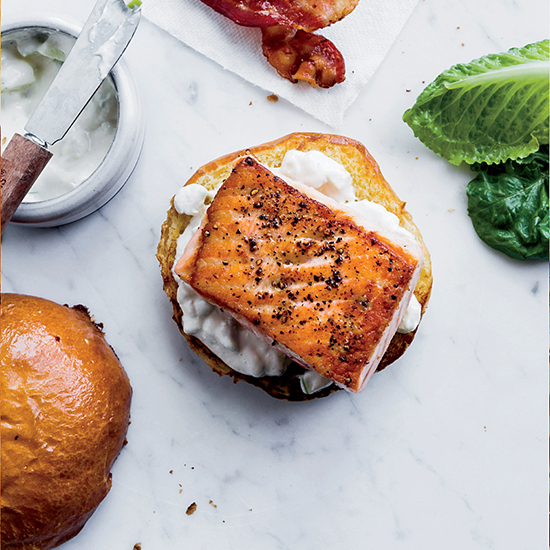 Mayonnaise spiked with Granny Smith apple and jarred horseradish is the secret to these salmon sandwiches, which make the perfect weekend lunch. 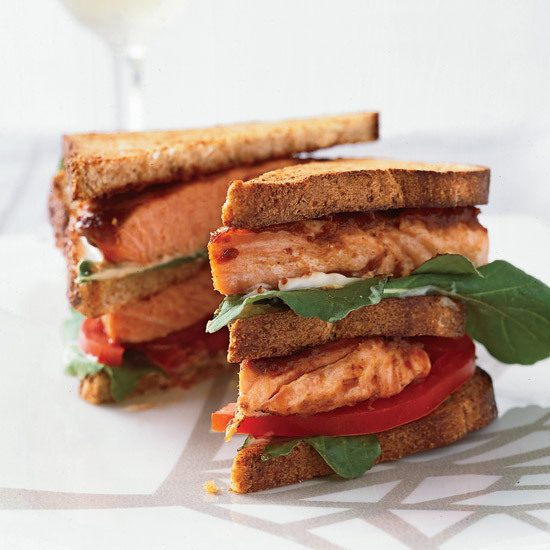 Elevate the traditional club sandwich by adding salmon grilled in a lightly sweet, tangy tamarind sauce. Seasoned with Indian spices and wrapped in naan, this succulent salmon sandwich topped with cilantro goes great with a fresh (and healthy) cucumber salad. 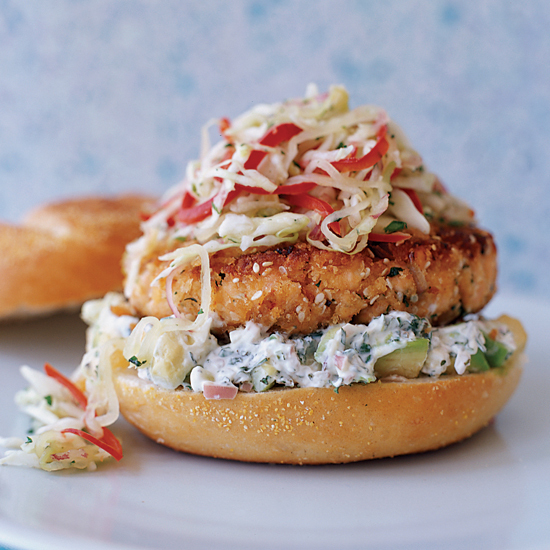 This decadent burger is both moist and spicy thanks to cabbage slaw and avocado aioli. 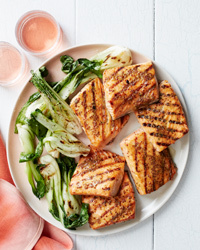 The soy sauce, mirin, and brown sugar glaze here caramelize on the salmon for a crispy texture, and sweet and salty flavor. 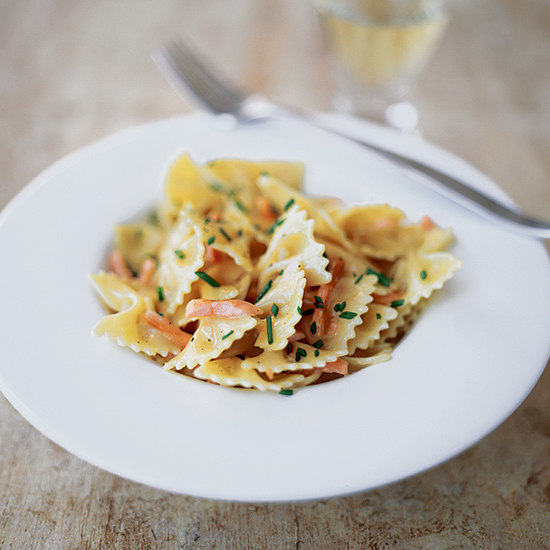 Add smoked salmon and a creamy vodka sauce to farfalle pasta, for a simple, satisfying dinner dish that only takes 30 minutes to make. 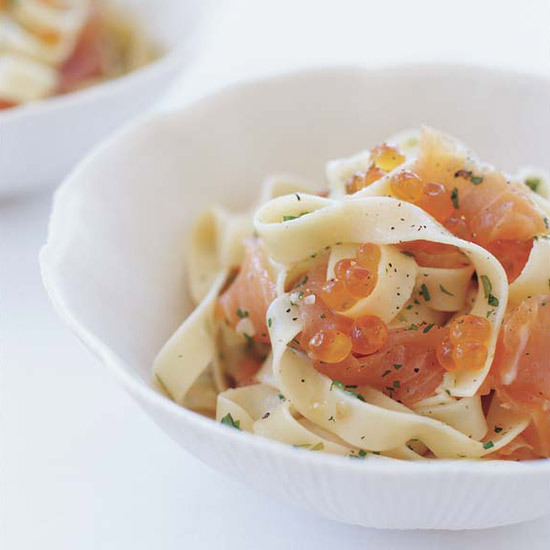 Take your weeknight pasta game to the next level with this luxurious pasta dish, where juicy salmon eggs add a delicate crunch. Forget the cheese plate at your next party. 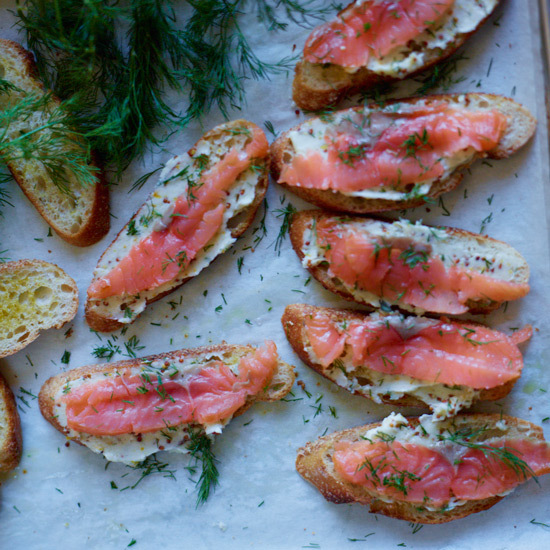 Try these easy-to-snack-on sandwiches, which use a creamy chive-flecked smoked salmon in place of béchamel. 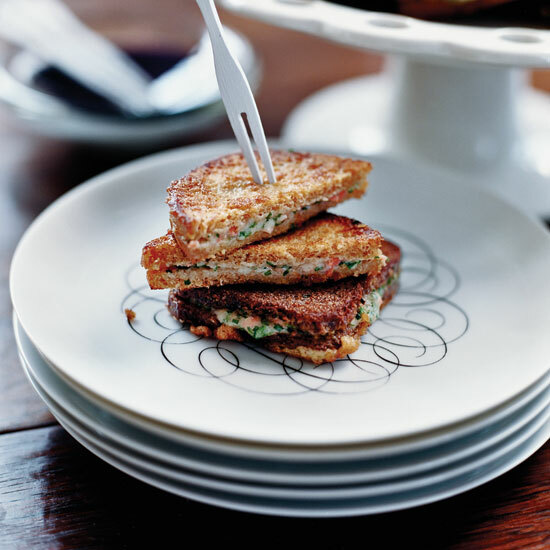 This indulgent snack would fit in perfectly at a picnic or potluck. 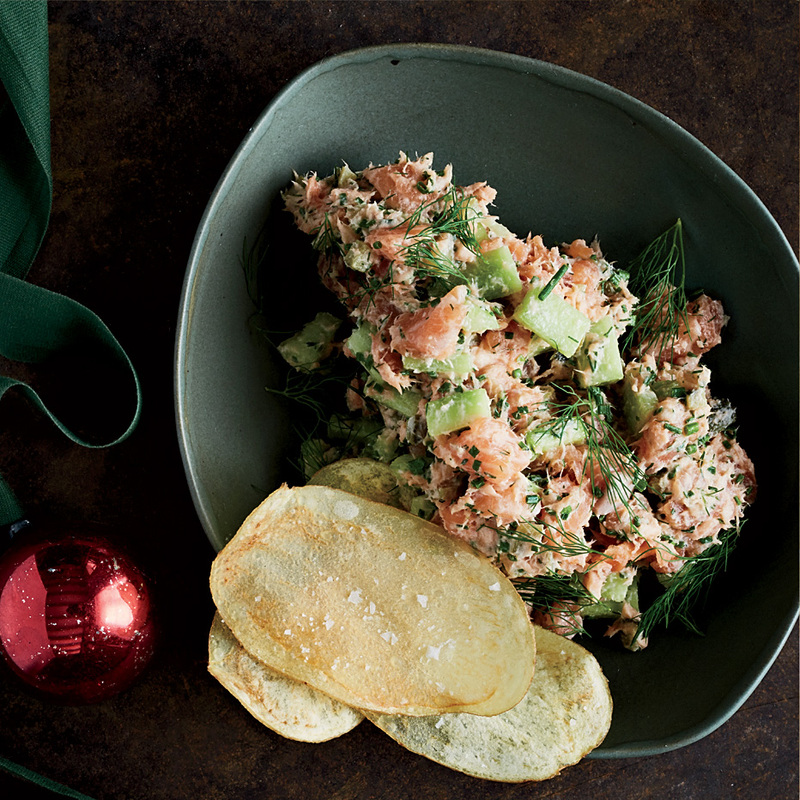 Sour cream or cream cheese may be the usual spread with salty smoked salmon, but chef David Tanis thinks softened butter makes a tasty alternative. 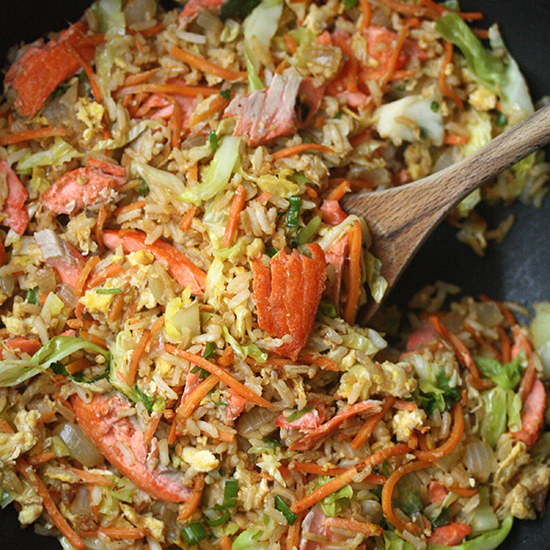 Here’s one unusual way to use your leftover salmon: Combine it with vegetables to make a hearty fried rice dish for dinner.